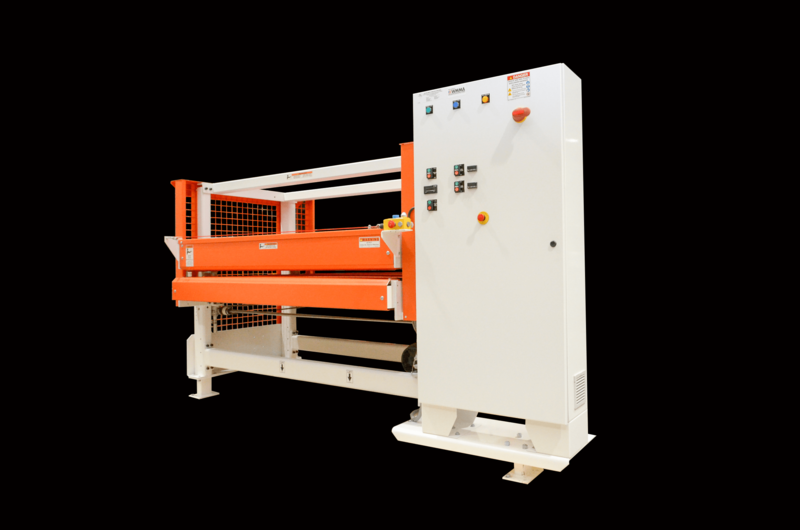 Panel Express Heat Laminating Rotary Press | Black Bros. The Black Bros. Panel Express heat-assisted rotary laminator is designed to laminate all types of HPL down to individual parts 44″ long. When used in conjunction with “fast tack” PVA adhesives, the Panel Express Laminating System allows you to move from laminating into production without the need for additional curing or press time. By using environmentally friendly PVA adhesives, it eliminates the hazards and waste related to solvent-based contact adhesive methods. Segmented bottom rolls for running countertops or similar material. Optional components are available to run parts runs as small as 24” (600 mm).